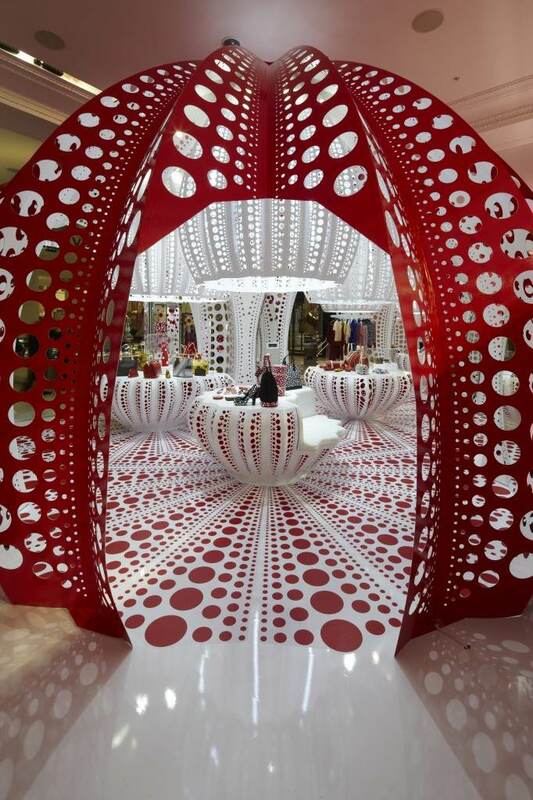 Louis Vuitton has unveiled its latest collaborative work with Japanese artist Yayoi Kusama at the Selfridges store , London. 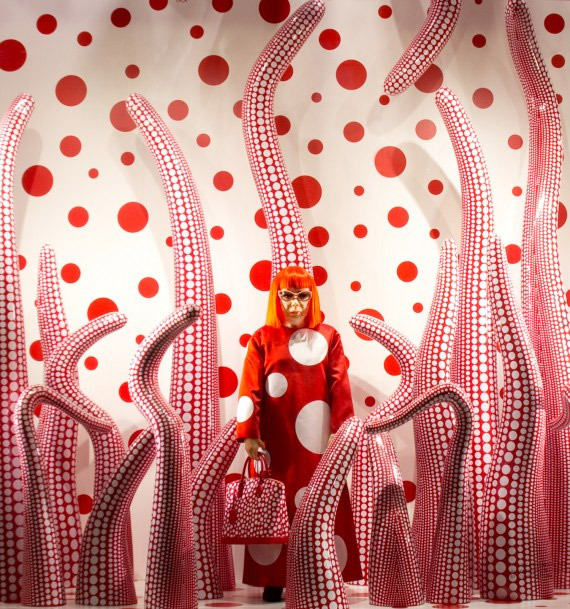 Yayoi Kusama , posing from the window display . A unique artist known for her life long sanctification to polka dot & wave art , her work is very much an extension of her inner world. 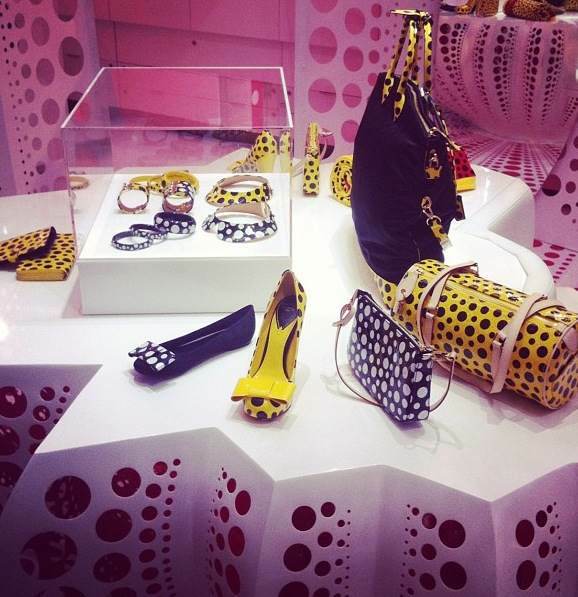 I love how Louis Vuitton collaborates with different artists, such a cool fusion of art and fashion!